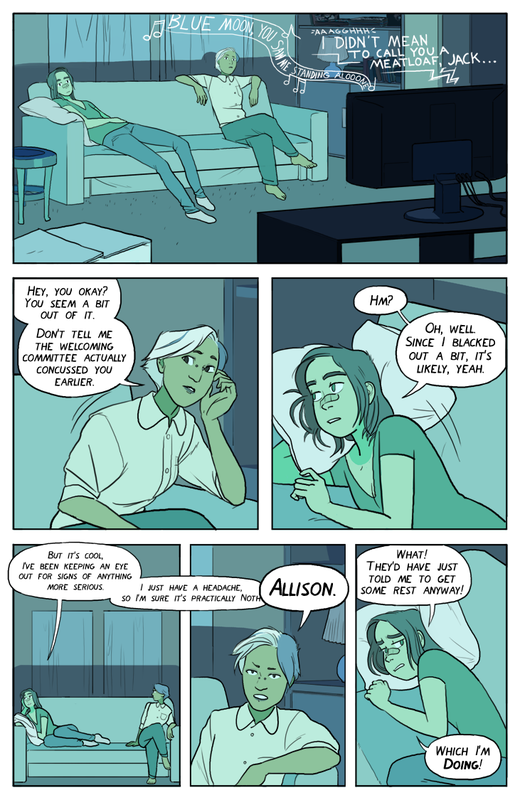 Don’t be an Allison in this situation, everyone! I agree 734%* with Sarah. @ Suzanne: Nevermind, I just got a look at the “About” page. I like that American Werewolf in London reference! Always, always, ALWAYS go to the ER following a head injury. ALWAYS. No matter how coordinated/mentally-sound you are. – Hey, did you know that your mental ability to evaluate how mentally sound you are is diminished when your mental capacity is diminished? Crazy, right? ALWAYS. GO. To. Emergency Room.